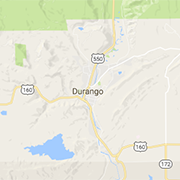 Find your prefect home by browsing the Durango real estate selection. Search for new and pre-owned homes, rentals, condominiums, apartments and more. Connect with real estate agents and finance companies to help you get your dream home. With decades of experience and knowledge of SW Colorado, the team at EXIT Realty provides professional buyer and seller services that make your dream home become reality.